Knitting Relaxes Me: Oh, no! What have I done? Some of you have heard me state that I don't want to learn to spin. 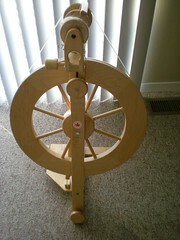 However, when Betty Shreeves, a local spinner, told me that she was teaching a 4-session spinning course at the Craft Guild of Iowa City, and that the $60 fee included borrowing a wheel and Guild membership for the rest of the year, I really couldn't resist. Last night was our first class. Tonight, I need to work on treadling sloooooooowly..... I don't think this is can be called yarn yet. Speaking of yarn -- here's what Helen forced me to buy watched me buy last week. From the top center, that's Dream in Color Classy, in Lipstick Lava; 8 skeins of Bristol Yarn Gallery Lyndon Hill, in 102 (85% Pima cotton and 15% silk, destined to be the Paisley Lace Shawl by Evelyn Clark); Berrocco Sox in 1424 (oops! 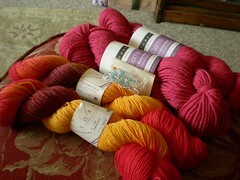 I bought that at Nanncy's in Springfield, without Helen's help); and 2 skeins of Koigu KPPPM in P320L. After Needleworks, we went to Klose Knit, where I bought just a little more. 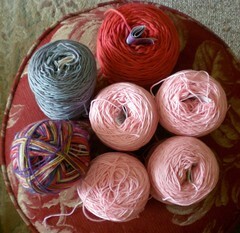 That's two skeins of Lorna's Laces Shepherd Sock in Flame on the left and two skeins of Louet Gems Bulky in Crabapple. And on top, you might notice a package of little ring stitch markers. I've also frogged the Primavera socks I told you about last night. 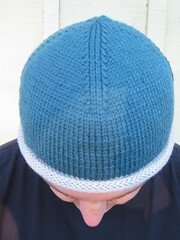 The yarn and the pattern just weren't working together. I think I'll move on to the Paisley Shawl (Ravelry link). That is, after I practice treadling a bit! Dude for $60 who could resist??? Just wait, try #2 will be better and so on and so forth. 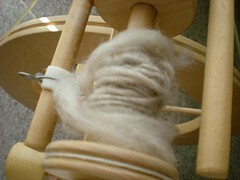 Wheel spinning is so much fun! I've always thought of spinning as one of those slippery slope things. Beware, spinning is a gateway craft! And that "Crabapple" looks awfully pink to me..
Oh no...you've gone to the dark side-heh heh! Does this mean you're back in Iowa? Love the soft pink yarn the best I think! I'd love another spinning class. My poor wheel is so lonely (and in need of tuning and a new drive band). 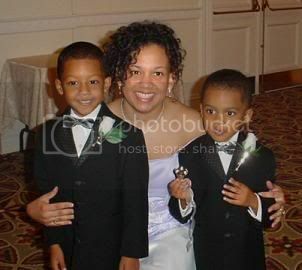 I miss spinning... but don't seem to have time. enjoy your class though! what a great deal!